HIFU treatment is the only non-invasive alternative to surgery. It is without incisions, blood loss or risk of infection. This technology uses high-intensity focused ultrasound, which is able to penetrate into the body tissues without causing damage. 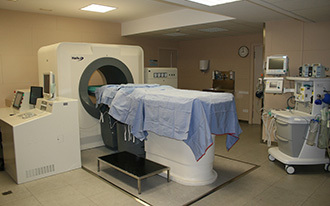 The ultrasounds are guided in real time by sonography until the myoma (fibroid) is located. Energy is then concentrated on the tumour cells, raising the temperature and destroying them. After the uterine fibroid treatment, the body gradually eliminates the treated tissue and the symptoms abate.